The first section of major lawn repair deals with how to replace lawn. This is completely removing all your existing lawn, weeds, and soil, to replace it with new soil and grass. This is usually the easiest and fastest option, but will cost you more than other methods. It may be the best option if, there are more weeds than grass, you have severe soil problems, or you can't handle heavy physical labour. Replacing a lawn usually involves the use of heavy machinery which allows most jobs to be completed easily in one day. This makes it the quick and easy method. The important thing is to understand that there is still a lot of responsibility on your hands after the new grass has been installed. For the first few weeks a new lawn require extra special care until the new roots and grass begin to establish. After that, correct watering, fertilizing, mowing and other maintenance techniques will ensure your lawn thrives for many years. 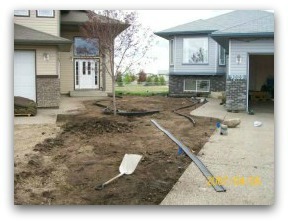 Our project with lawn damaged by winter kill along the driveway, but also was torn up as the owner installed irrigation. We have some more information for you to check out at this link in our Lawn Care and Maintenance module. If you are a new homeowner, this will help you see what goes into maintaining a healthy lawn. 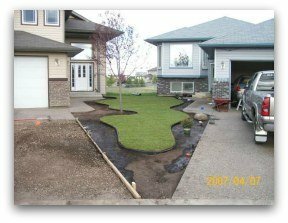 You may actually decided to reduce the size of your current lawn as this homeowner did with our renovation. Fortunately both neighbors agreed to get involved in our project between two houses which saved them both money. They were also happy to have a unique and much more appealing design for their front yards. Let's go back to our analogy from the previous section. To completely replace lawn and soil is like buying the new, efficient, and more environmentally friendly car than your old money pit. All the current lawn problems you have, will be dealt with all at once. I know many people view this as an expensive proposition, but in the long run it can actually cost you less. 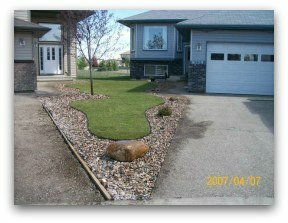 If you have the budget, you can hire a reputable landscape company to come in and do this for you. The average price for installing a lawn may be different in you area, but here they charge around $1.00 to $1.20 a square foot. This includes soil, sod and the grading work. Try to get more than one quote, even if you are happy with the first person to visit your property. Also, try to have a signed contract with the work and price clearly set forth. Checking references or testimonials is always your best bet for insurance against bad business practices. Leaving the excavation work to people better equipped for it can save you big headaches and hassles. The old lawn was removed with a bobcat. Most people looking to save money will take over a project after a contractor has done all the work that requires equipment. If you plan on doing it yourself, you should consider the following comparison on excavating and prep work. This will help you understand where your time and effort will best be spent in the money saving process. It's hard to talk pricing with readers from so many different countries, so I will give examples from my region. I live in Calgary, Canada, where things are probably at the higher end of the pricing scale. After learning a few hard lessons myself, I started to use an excavation company to do this work for me. My time was better spent on areas where I specialized. They could actually do it cheaper and faster than I could. The best thing was, they had it all done in about two hours. Do-it-yourselfers should strongly consider leaving certain jobs to the experts. So here is a quick example of a section of lawn renovation I had to deal with after completing some stonework for a customer. The dump truck arrived with a load of soil in the box, and pulling a bobcat on a trailer. They dumped the 12 yards of topsoil on the driveway. They rolled off the bobcat and spent an hour excavating the old sod and dirt. The old materials went directly into the empty truck to be disposed of. They then spent about half an hour spreading and grading the new topsoil. And that quick, it was done. It was impossible for me to cut corners and save money doing this type of work myself. If you don't have the equipment, this could take you days to do. Remember that 6 inches of topsoil is ideal for a healthy deep rooting lawn. This can tack on a few hundred bucks to your bill, but it will be worth it. You may have to call around to find the right company to do work like this efficiently at the right price. With some raking of the soil for final preparation, the section of yard was ready for sod. The excavation work cost me $600 (topsoil included). The actual sodding, is where I would focus on saving yourself money. Ok..so back to our lawn replace project. Our project sodded and ready for landscape fabric and decorative rock. 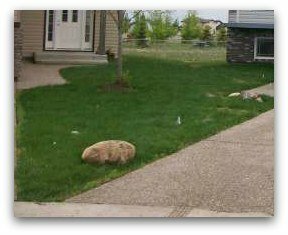 Rather than install lawn along the driveway in this northern climate where winter kill is a risk, we opted to reduce the lawn size and install decorative rock. This project can easily be completed by a beginner. To finish off this section of Replace Lawn, we are going to go talk about picking your battles. We want to encourage do-it-yourselfers, but we want to make sure they can make the right decisions on where they should leave things to the pros, and when they should do it themselves. So for all of you who want to rent a bobcat and do it yourself to save money, we have a few questions for you to consider. Again, this is not meant to deter you, just show you pros and cons. How long will it take, and what risks are involved given your skills and experience on the equipment? How qualified are you in proper grading techniques? How will you dispose of the old sod and dirt you just piled on your driveway? Will it be cash or charge for the $300/day bobcat that you now had for 2 days? Where would you like your $200 dollars worth of topsoil you will need, dropped? OK. There may be some exaggeration in number four, and you did it in a day. Or maybe not? I have seen this before where it took people 3 days to do what a professional could do in 3 hours. Oh, and don't forget to value your time. This is the point we were trying to make before. Some jobs are just worth paying someone else to do. This is one of those jobs. I put this example in here to show you why I hire people to do these jobs, even though I am experienced in doing it myself. Now compare this to one delivery charge of about $100 for a full dump truck load that can carry 10 to 16 yards (depending on the axles, and the size of the box). A full size pickup truck box can only carry around 2 yards when full. At the extreme, your heaviest load of clay soil and rock can creep up to about 1 ton/yd. Grass, weeds, and dirt mixed together will be about half to 3/4 this weight depending on the mix. Replacing is pretty straightforward. Out with the old, and in with the new. Once the excavation is done, and the area is prepared, it's time to seed or sod. For this, we recommend visiting our Seeding a Lawn and Sodding a Lawn modules in our how-to section. 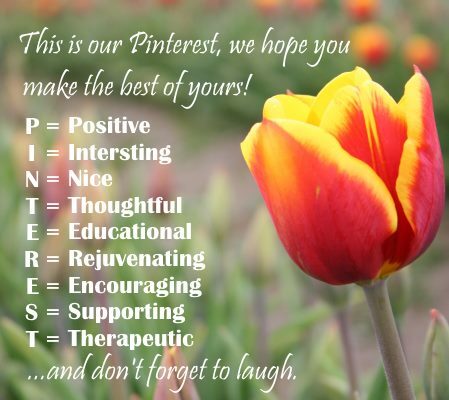 There are plenty of tips here to help you complete your project. Let's move on to Rebuilding a Lawn. This is where we will discuss different options of working with what you already have.